Toter trash can liners protect your can and are designed to eliminate the need to clean trash containers. These liners slip out easily and fall right into a garbage truck on pick-up days without leaving garbage stuck to your trash can. The material used contains oder Eliminator to wipe out offensive smells and each liner is manufactured in the USA with 75percent recycled content. 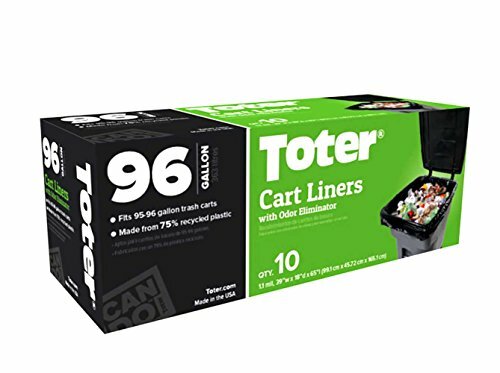 Toter cart liners are designed to fit Toter and other brand trash cans. If you have any questions about this product by Toter, contact us by completing and submitting the form below. If you are looking for a specif part number, please include it with your message.